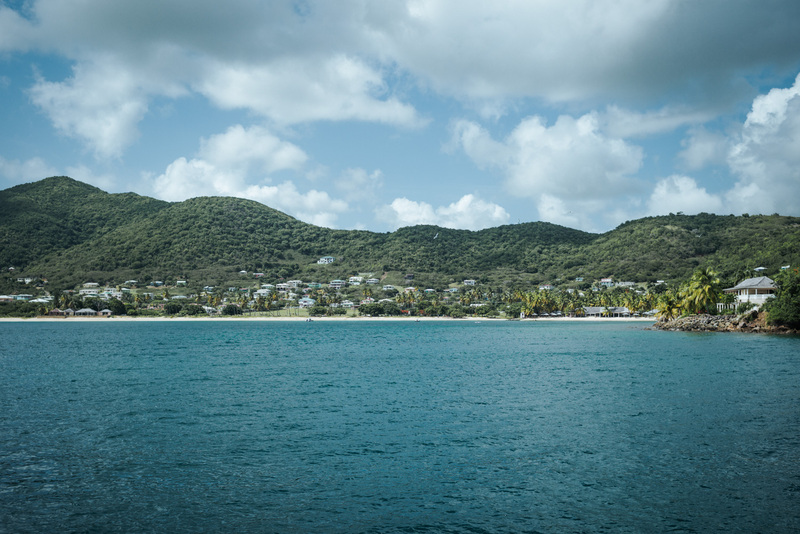 Antigua und Barbuda… maybe you asked yourself right now what and where this is, but don’t worry – before my trip I actually felt the same way and did not know anything about Antigua and Barbuda and first had to google where it is actually located. But now, after my trip, I’m a fan and recommend this destination to everyone, and one main reason for this are the fun loving powerful people in Antigua and Barbuda! 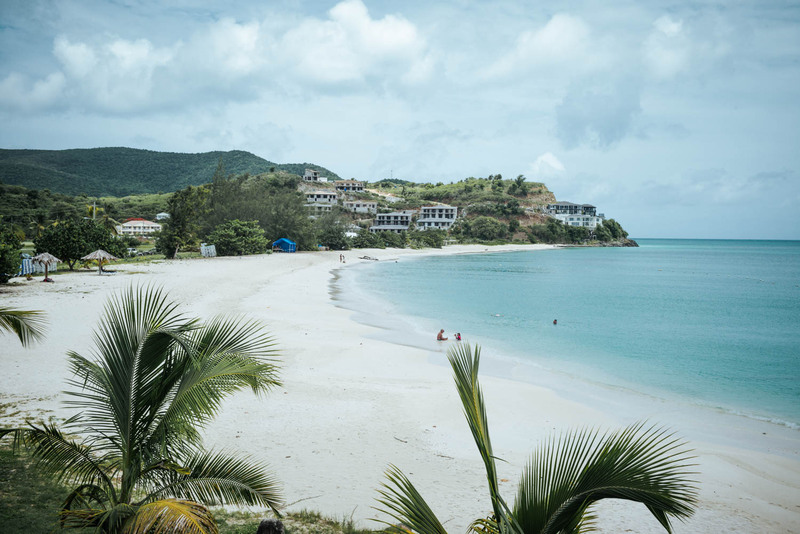 I will tell you everything you need to know about Antigua and Barbuda and other facts which might convince you to put Antigua and Barbuda on your travel bucket list. Antigua and Barbuda is an independent country, which is divided into two islands, Antigua and Barbuda and it is part of the commonwealth. The islands are located off the coast of Venezuela and between the Dominican Republik and Trinidad and Tobago. Antigua is the bigger island of the two and still you can do a round trip in about 2,5 hours by car. During my trip I only visited Antigua and I will restrict my impressions to this. Nature – more than just sun and beaches? Do I really have to say something about this? 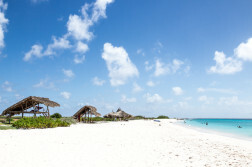 Just close your eyes and imagine your dream beach and now you know how nearly every beach in Antigua looks like. Cristal clear water, a nearly white beach, and palm trees everywhere, is probably the best way I can describe it. Which I did not expect was, that the island has lots of mountains too. Also, there are many smaller islands around Antigua. You probably have the most fantastic view, especially at sunset from the Shirley Heights. This will definitely give you goosebumps! 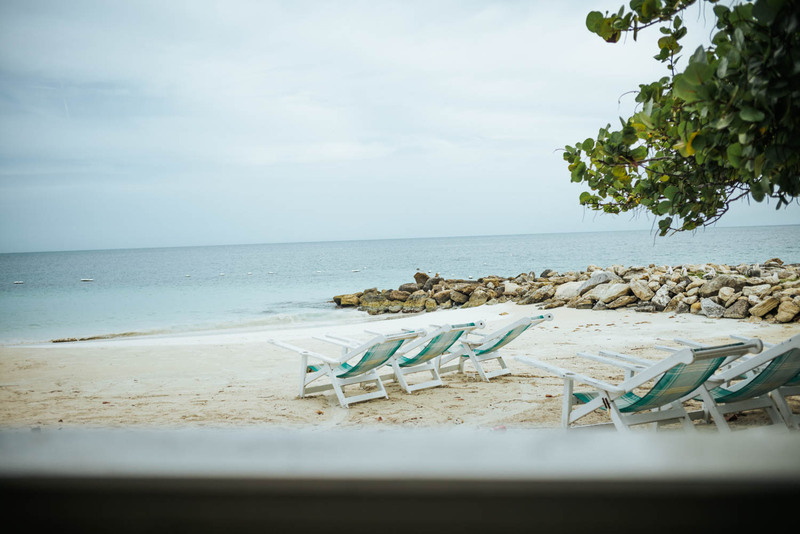 If you want to do more than relaxing at the beach, you can do many things in Antigua to get through your day. 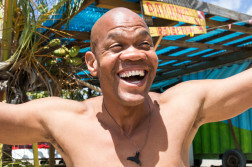 The Caribbean is really famous for their good rum, there is no way around a rum tasting. 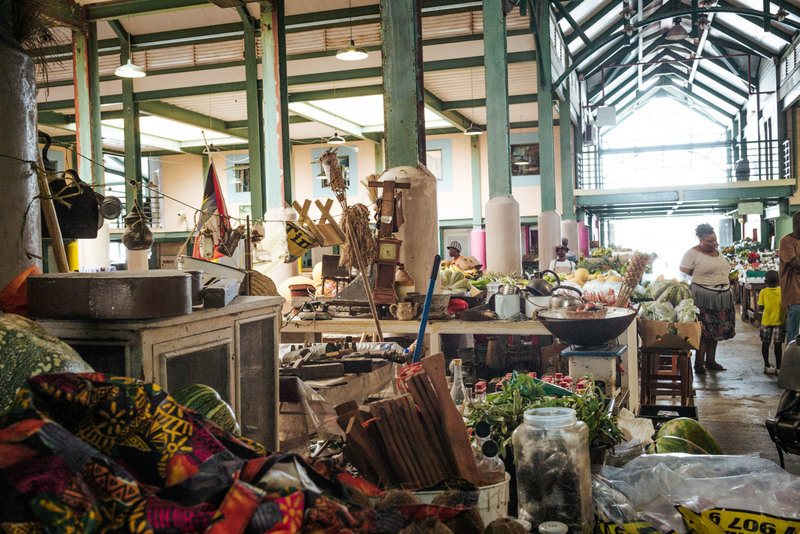 I also really enjoyed the local markets. The different fruits they offer and the people you meet during a visit are just unbelievable! Besides this, I loved connecting with locals at the beach. An intercultural small talk is worth a try! 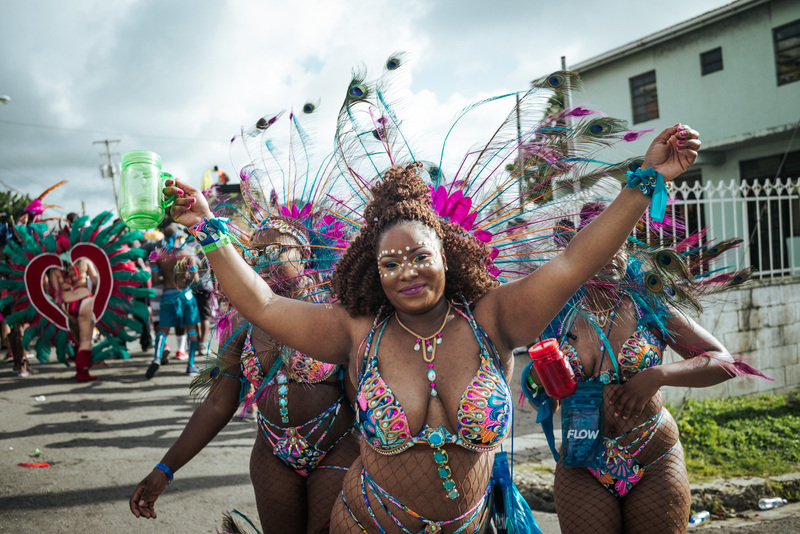 Carnival in Antigua and Barbuda – is it similar to Rio? 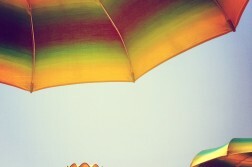 Once a year, around the end of July the island changes into a colourful carnival. On the first day I was quite confused, because it was more like a party and the main activity was to drink alcohol. But because of that the second day was even more beautiful where everyone was wearing beautiful colourful costumes, which I already got excited about during my research before my trip. 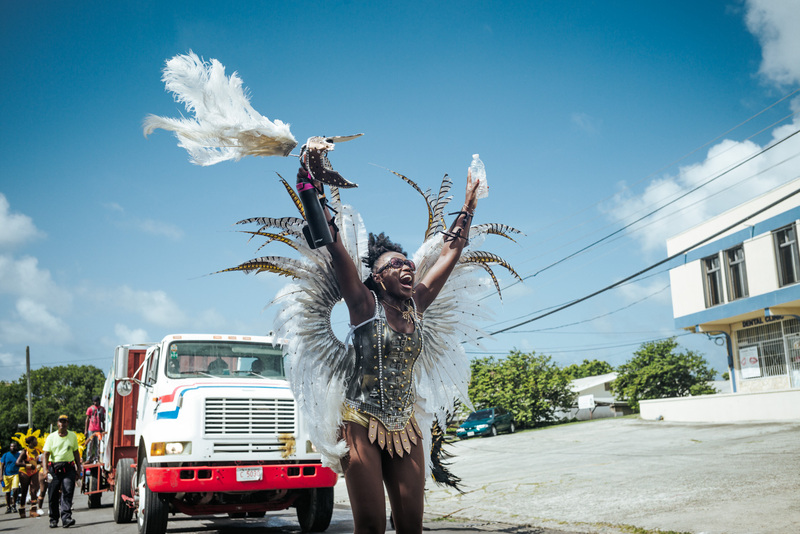 These costumes are made by the different “Bands” (carnival groups) and presented in a huge parade. My personal highlight was being part of the biggest band with about 1500 members. This was one of those moments you will remember your entire life. If you want to be part of the carnival yourself you can easily do it. And if you pay a little more you can actually be one of the “Queens” of one of the bands who are leading the band with their extravagant costumes. Costs for being a part of the parade vary between 300-850 USD. How cheap is it there? 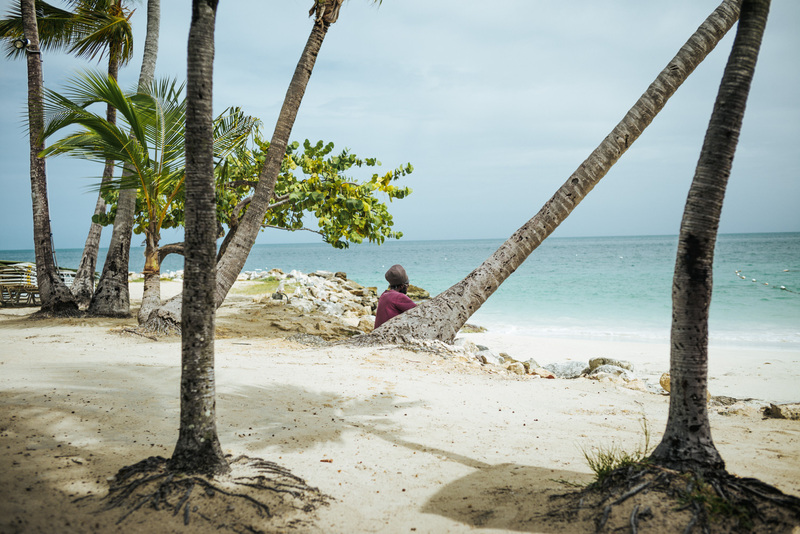 The cleaning lady from our hotel told me, that Antigua and Barbuda is one of the most wealthy countries of that region and that she would earn 3-4 times more than in her home country, the Dominican Republic. Prices at the restaurants were similar or even more expensive compared to Germany. That is why some people call Antigua and Barbuda “Switzerland of the Caribbean”. 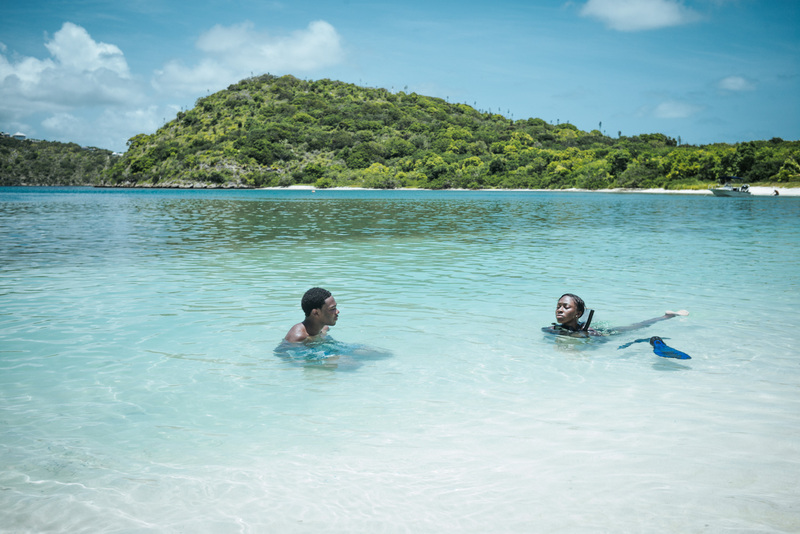 Environmental protection – how big is that topic in Antigua and Barbuda? There are plenty of nature and water protection areas around the island. Antigua takes the protection of endangered species and nature really serious. All of our guides were always very persitent when it came to leaving no trace. And you will really notice how clean Antigua and Barbuda is everywhere. The nature is also important to the locals as a touristic aspect, because most of the tourists come because of the nature, so it obviously makes even more sense to protect it. 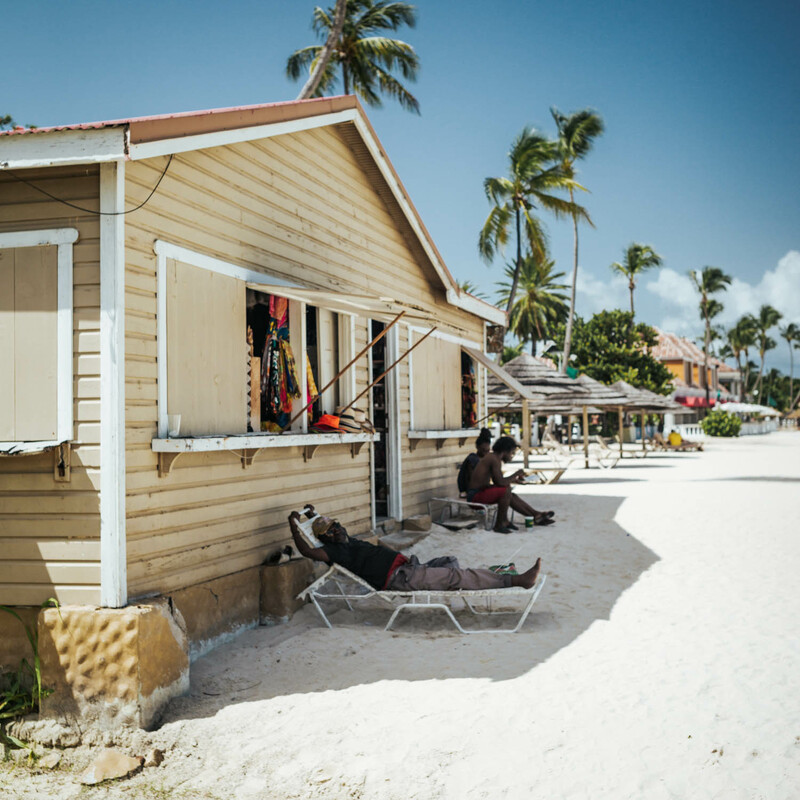 Do you feel safe in Antigua and Barbuda? What translator do I have to download before my trip? 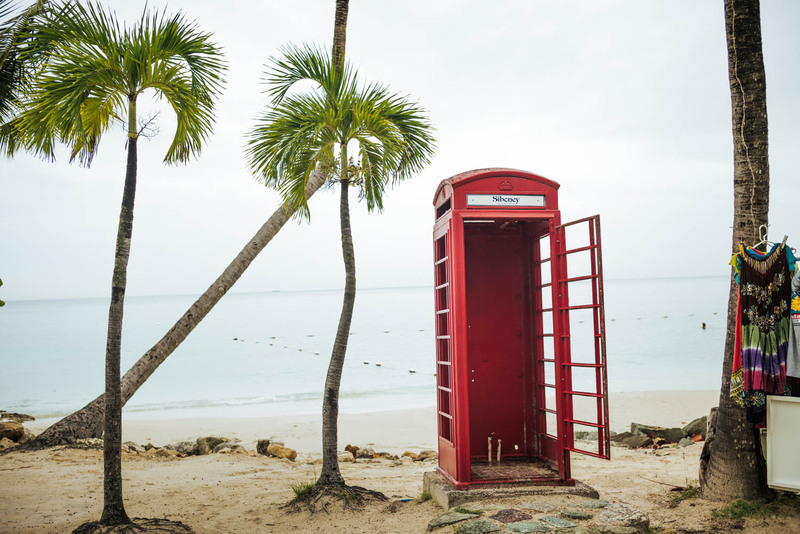 Because Antigua and Barbuda is part of the Commonwealth their first language is English. 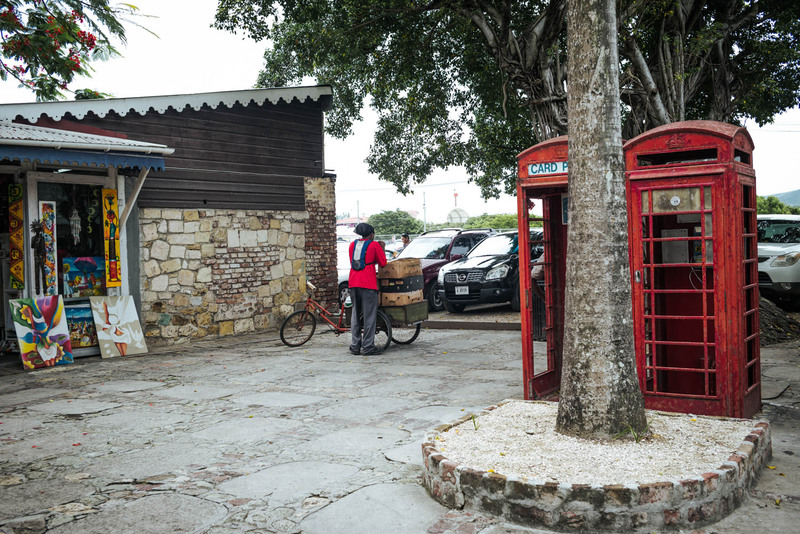 This makes it even more easy to travel around the island and get in contact with the locals. Overall I can say, that Antigua and Barbuda is a country which does not have to hide behind its bigger Caribbean siblings, like the Dominican Republic or other well known places. And if you are a little bit like me you probably like travel destinations even more when they are not on everyones bucket list. Disclosure: I was invited on my trip to Antigua and Barbuda. All opinions are my own. Good information on the things to know about the Antigua Travel.